Since July 2001 the Bacheliers of the European School Karlsruhe have buried a time capsule under a Majolika tile with the year of the Baccalaureate engraved on it. The pupils have placed items which were typical for that particular year, such as newspapers, videos, class photos or yearbooks into the box/plastic barrel. The idea has been to create a tradition so that the pupils can come back 15 years later to open the time capsule and remember what it was like to take the Baccalaureate 15 years earlier. 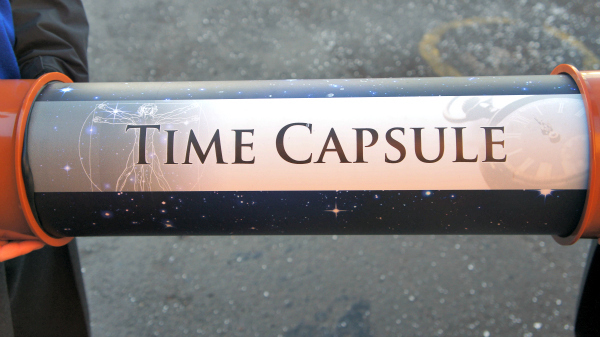 We will not only bury your 2019 time capsule but will, at the same time, open the one from July 2004! We will invite the 2004 Bacheliers to join you on Saturday, July 6th for this special occasion.